As most predicted, both the Dubai Dragons and the Multiplex Bulls have won their final round matches and will now go on to meet once again in the AFL Middle East Grand Final. The Dragons outlasted a determined and resilient Falcons team in Abu Dhabi, whilst the Bulls hammered the Dingoes to tune up for the big day in powerful style. 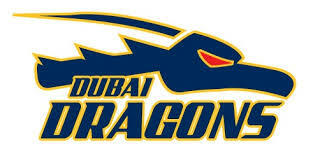 The clash between the Abu Dhabi Falcons and the Dubai Dragon was a willing affair. Both sides had points to prove – one to throw the dice once more for a finals shot, the other to assert themselves again as flag favourites. By half -time the Dragons led by just five points, with both teams equal for scoring shots. It was a more dominant Dragons outfit in the second half – but not before the Falcons gave them tough workout. In the end it was the Dragons winning by 43-points to go through the home and away rounds again undefeated. The Abu Dhabi Falcons ended the season with just two wins, yet they took the game up to every opponent across the season. If they can grab one or two recruits and refine their playing style further, the Falcons could well be the new challenger for the 2018/19 season. But for now they can look back on their efforts this season and plan with justifiable confidence. The Multiplex Bulls were on a mission of their own, which was bad luck for the Dubai Dingoes. The Bulls are leaving no stone unturned in their quest to beat the Dragons in the grand-final and their performance against the Dingoes was one of a team intent on attacking at all costs. They have until March 16th to prepare for the biggest match of the year and kicking winning scores is a part of that preparation. Their 127-point win against the Dingoes was certainly evidence that nothing will be left to chance. The Dragons have won five of the past six premierships. 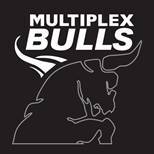 They have defeated the Multiplex Bulls in the past three of those. The Dragons want more and will do everything in their immense power to win another. But the pain felt by the Bulls over the past three seasons could have derailed them. It hasn’t, and they are back for another shot – this time armed with more anger, pain, determination and attitude than ever before. Beware the wounded bull. This might be one of the most fascinating, and certainly historic, premiership deciders seen in the league’s history – whether the Dragons enter the rarefied air of a four-peat flag performance or whether the Bull’s time will finally come. All will be answered on March 16th in Dubai.